Corneal anesthesia is a rare condition defined as a loss of corneal sensation. Corneal anesthesia leads to a clinical condition known as neurotrophic keratopathy, which prevents patients from feeling pain in an affected eye or recognizing when it has been scratched or infected. Over time this leads to corneal scarring and ultimately vision loss. Corneal anesthesia is caused by impairment to the ophthalmic division of the trigeminal nerve, which provides sensation to the cornea. Corneal anesthesia is commonly caused by infection (such as Herpes Zoster), diabetes, trauma or surgery, and can be very difficult to manage. What are the Treatment Options for Corneal Anesthesia? Fig. 1. Illustration of sural nerve graft tunneled across the bridge of the nose and inserted around the affected cornea. Treatments such as artificial tears and topical antibiotic eye drops may be used to help improve corneal surface and prevent infection. Unfortunately, most treatments address the complications of corneal anesthesia and not the underlying cause. Corneal neurotization surgery or corneal reinnervation is a minimally invasive nerve transplant procedure that addresses the underlying nerve damage causing corneal anesthesia and returns feeling to a patient’s eye. This surgery uses a sural nerve graft (taken from a patient’s calf), transplanting it above the eye on the side of the patient’s face that still has feeling and grafting it onto an existing nerve. This grafted nerve is then tunneled under the skin of the forehead and new nerve endings are connected to the damaged cornea (Figure 1). This procedure utilizes established nerve surgery techniques to provide a new promising approach to corneal anesthesia. Corneal neurotization surgery is currently offered by only a few surgeons in the United States and around the world. What are the Potential Benefits of Corneal Neurotization Surgery? Fig. 2. Illustration of nerve graft fascicles regenerating into the damaged cornea. Similar to any nerve transfer surgery, it takes at minimum a few months for the nerve to regenerate and return feeling to the affected eye (Figure 2). This surgery has been found to result in restoration of protective corneal sensation, prevention of further scarring of the cornea and ultimately preserved vision. Corneal neurotization surgery offers a promising option to patients affected by corneal anesthesia. 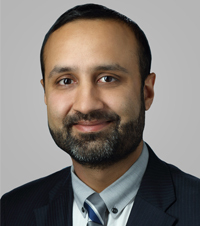 Dr. Zuhaib Ibrahim has extensive training in cosmetic and reconstructive plastic surgery with a special interest in breast reconstruction and peripheral nerve surgery. His philosophy centers on providing the highest quality personalized care in a warm and professional environment.